PARIS – Renault CEO Carlos Ghosn said he felt a "very great uncertainty" for the year 2012 against a backdrop of financial-market volatility and the slowing global economy. Ghosn added that there could be some grounds for optimism in 2012 if Europe managed to solve its sovereign debt crisis, but said that countries were not in agreement on the measures needed. "For 2012, we are all currently in a state of very great uncertainty for the time being," the CEO told journalists on the sidelines of an International Energy Agency conference on Tuesday. Ghosn, who is also CEO of Nissan Motor Co., said consumers at the moment remain "skeptical, but they haven't yet turned defensive." However, for the year 2011, Renault was sticking to its sales forecasts, he said. "We already have our order book, which is full," Ghosn said. 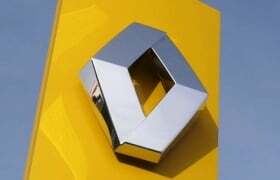 Renault expects sales and revenues in 2011 to be higher than in 2010, when it sold 2.6 million cars and reported sales of 39 billion euros ($53.8 billion). The carmaker is also targeting an automotive operating free cash flow above 500 million euros this year. European sales of Renault cars rose 1.5 percent to 110,198 units last month, according to industry association ACEA. On Friday, Renault unveiled a plan to beef up its internal protection systems, several months after the carmaker mistakenly fired three executives based on suspicions of industrial spying that proved false. The move follows audits into how the espionage-scandal-turned-fraud-investigation arose and will see Ghosn strengthen his control over the group. Asked whether he plans to take any key steps on the back of the latest reshuffle, Ghosn said the move does not change any of the decisions the board agreed in April 2011 at the conclusion of the audit.